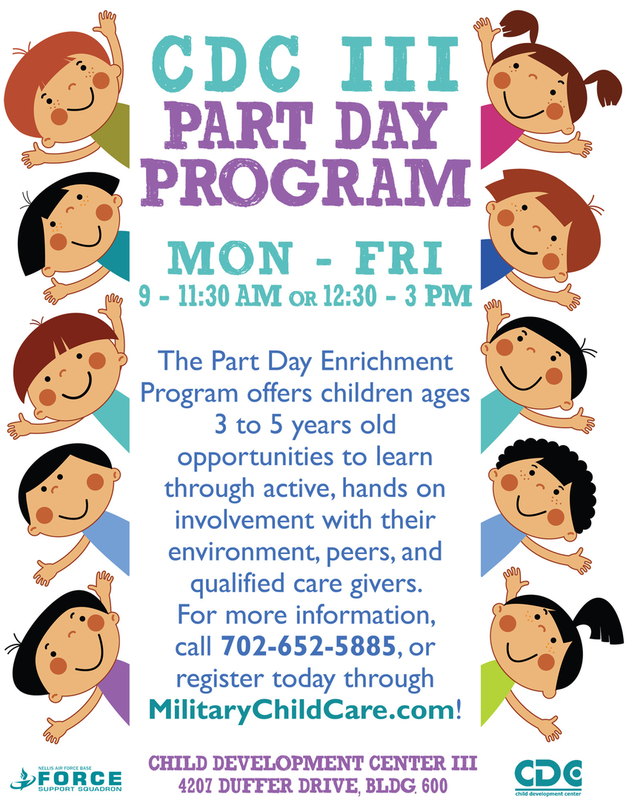 The Nellis Child Development Centers offer a variety of child care services for children age six weeks through five years of age. These include center based, full-day and hourly child care for children in all our Child Development Centers. Our facilities offer Before and After School, Kindergarten Care and a Part Day Preschool Enrichment Program. Updated registration paperwork (policy letters, referral letter, AF form 1811, immunizations records and medical evaluation for special needs children) will need to be completed, signed and turned into the center your child will be attending. 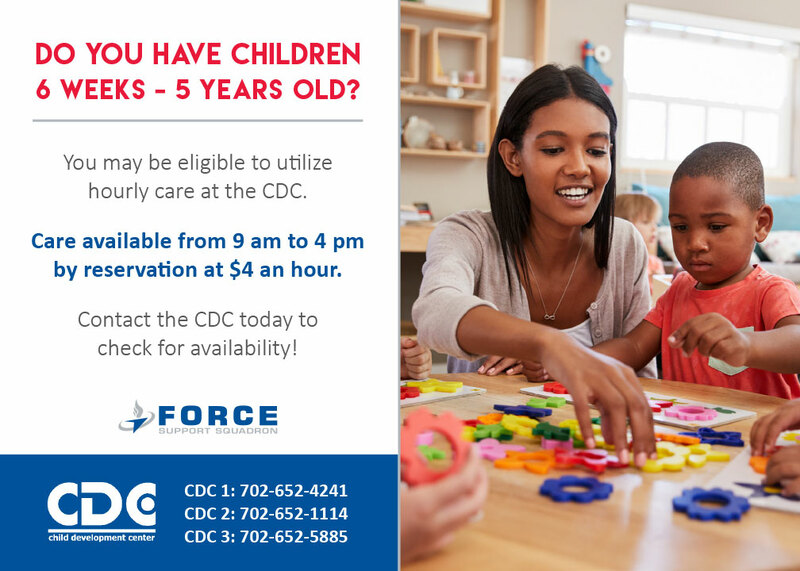 The Airman and Family Services Flight is pleased to support Nellis AFB community by offering child care to parents with unique stressors and those that just need a break. 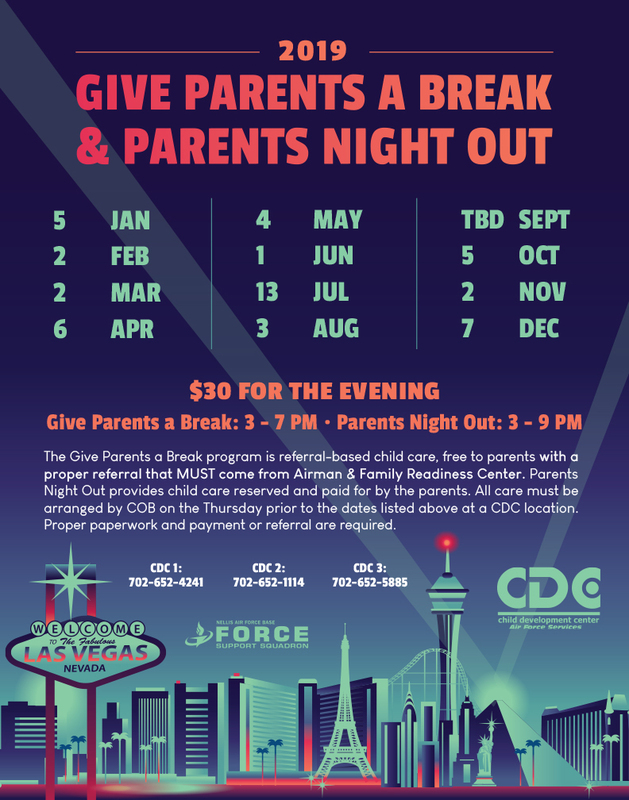 Give Parents a Break offers up to six hours of free child care per month to families with special circumstances. Parent’s Night Out cost $30 for the entire session per child. Reservations for both programs are taken on a space availability basis.